December is when the holiday season really heats up just as the weather, at least in the northern hemisphere, takes a turn for the colder. 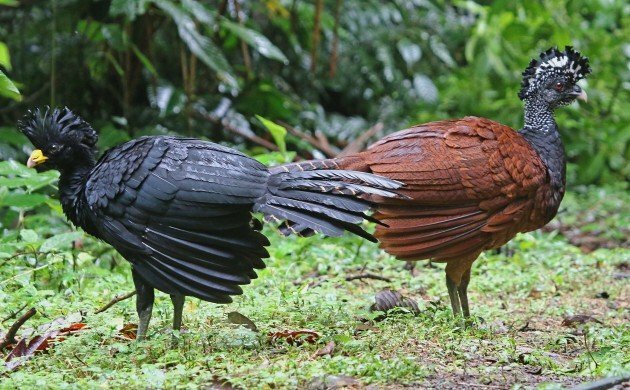 Fortunately for Mike and I, we are in Costa Rica avoiding the cold weather and enjoying some amazing birds! 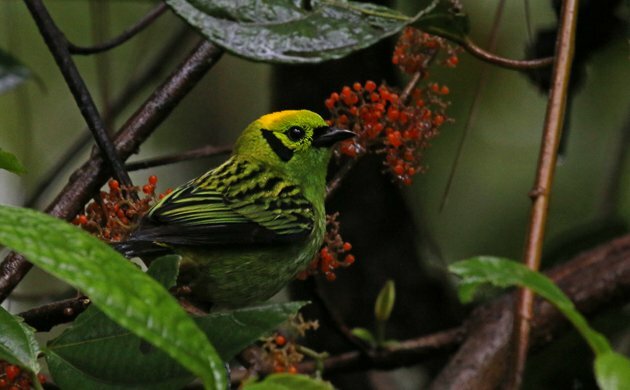 Mike’s Best Bird of the Weekend, featured in the picture above, was one of a pair of Emerald Tanagers that gave crippling views at Arenal Observatory Lodge. What a stunner! My Best Bird of the Weekend, chosen for the sheer awesomeness that they exude, was Great Currasow, specifically my first one at Finca Luna Nueva Lodge, though that bird, one of three seen there, did not cooperate for pictures. The pair above were spotted along the waterfall trail at Arenal. 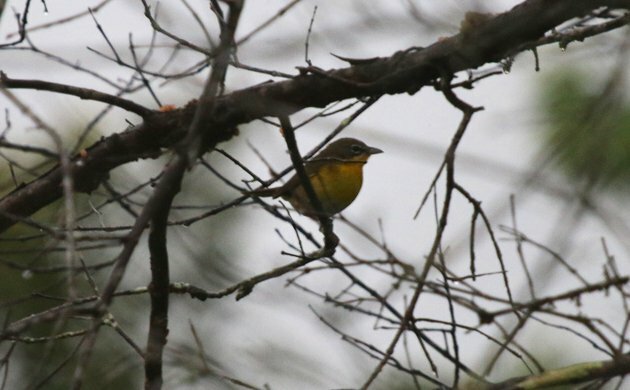 As an added bonus, because Mike and Corey have been spending lots of time being shown birds by Patrick, his Best Bird of the Weekend was a Yellow-breasted Chat, his first for the country. I spotted this bird when it popped up in pasture while we busy checking out Tropical Mockingbirds. Mike and I were a bit underwhelmed by Patrick’s choice, but a new bird for him in Costa Rica is pretty special at this point, no matter how much more likely it is to see the species in the United States. There is a Morepork outside my window and the damn thing won’t shut up. I need sleep! A common bird, but one I never tire of seeing. As Gellert and I left the “re-enactment” show at Washington Crossing yesterday afternoon, I heard a pileated woodpecker muttering under her breath, and there she was, just a few feet off the path at eye level, going about her woodpeckery business on a tree trunk. Five Ancient Murrelets here on the Olympic Peninsula. A Snowy Owl at Fern Ridge Reservoir near Eugene, OR was certainly the best bird of my weekend! It wasn’t strictly the weekend, but Snowy Owls count at any time don’t they? Snowy Owls bend the space-time continuum to their will. It is always a weekend if Snowy Owls are involved.